Is it feeling like Spring where you are? It is down in southwest Texas – we’ve already had temperatures in the low 80’s (at the beginning of April! ), which I’m totally okay with, if it would just stay like this all year long. It gives me the excuse to make yummy springtime-inspired treats, like these delicious lemon poppy seed cookies! Lemon cookies are practically the essence of Spring. I think any lemon recipe is, really. I got this idea from Pinterest, when I spotted lemon poppy seed breads, muffins, cakes – you name it. So I knew I had to make the cookie version! 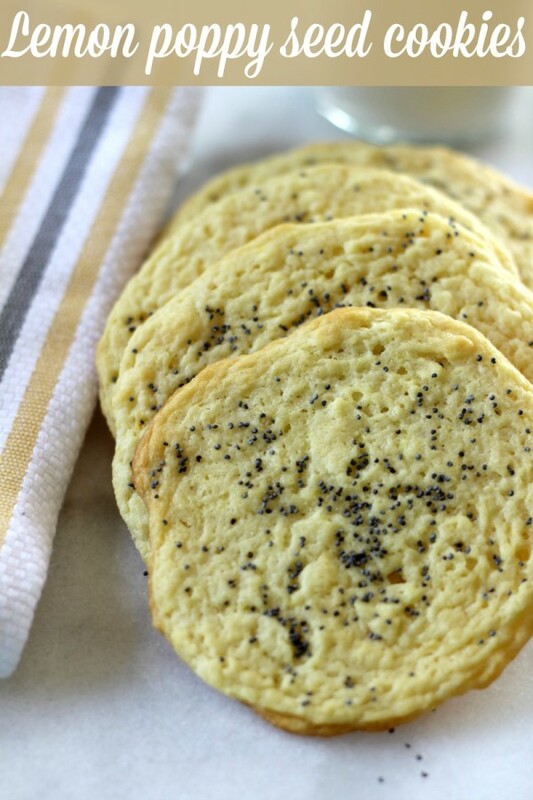 If you’ve never had poppy seeds before, you are in for a little treat! Now, some people spell poppy seed as one word, some as two, but no matter the spelling, everyone benefits from the nutrients of these little guys. Poppy seeds contain several minerals such as folate, calcium, iron, zinc and niacin. Who knew?! Add the egg and lemon butter from the saucepan. Mix until pale, about 3 minutes, and stir in vanilla. Add to the flour mixture and combine well. Drop 1 teaspoon cookie dough at least 2-3 inches apart on non-stick cookie sheet. 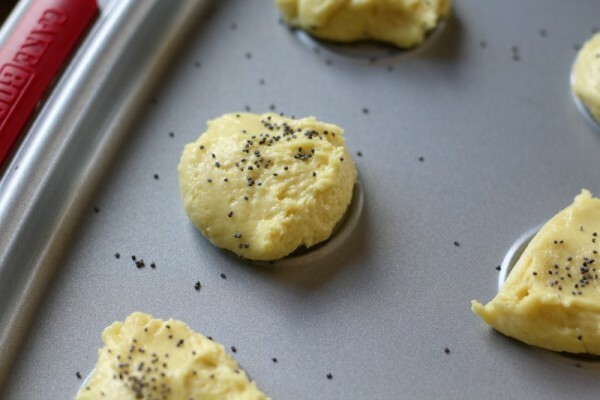 Sprinkle tops with poppy seeds. Bake until just browned around bottom edges, 7-10 minutes. Sprinkle with more poppy seeds if desired. Let sit on cookie sheet for 5 minutes. Transfer to wire racks and let finish cooling completely. Check out these other dessert features on Pretty My Party!